The bourbon formerly known as “Ridgewood Reserve”—until a federal court in Louisville made Barton change the name because it infringed on Woodford Reserve—has ramped up special and private releases in recent years. The standard 1792 brand seems to be plentiful, while releases of wheated, high rye, port-finished, bottled-in-bond, and “full proof” (not barrel proof) limited editions alongside store selections appear with some regularity. To commemorate Kentucky’s 225th Anniversary of statehood, last year Barton released a Kentucky-only limited edition that is aged longer than the standard 1792, but still not really age-stated. Instead, the label states that it is aged “nearly a decade,” which doesn’t exactly seem to comply with 27 CFR 5.40(a)(1) (providing the standard “___ years old” format) or TTB’s guidance in Chapter 8 of The Beverage Alcohol Manual. But there’s also 27 CFR 5.40(e)(2), which for whiskey aged over four years allows a “general inconspicuous age [statement]” without using an actual age statement. “Nearly a decade” probably fits under this vague regulation. The 225th edition is bottled at the oddly-specific 92.15 proof, which presumably is an attempted nod to the year of Kentucky’s admission into the union (the source of the brand’s name, 1792) and Kentucky’s status as the 15th state. I wasn’t planning on buying this 225th limited edition, but a friend bought it assuming that I would want a bottle because it was a limited edition. Let’s see if it was worth her while. Medium amber that looks a little darker in the bottle than it is because of the dark back label. The aromas were subtle but warm, like oak, vanilla, black pepper, and cinnamon bread. Rye, black pepper, graham cracker, tobacco leaf and leather. The 225th Edition leans hard to the dry and spicy side, without much sweetness, and was a little prickly. Overall the flavors are an enjoyable example of this side of potential bourbon profiles and a nice counter-balance to overly-sweet bourbons. It fell apart with a splash of water, so I recommend trying it neat. The finish is on the shorter side of medium. It’s dry and wood-driven, warm, comforting and non-aggressive. It lacks the depth and balance of a finish that I expect from 10 years or from a bourbon that is designated as a limited edition. When a brand releases a limited edition—even when moderately-priced—I expect it to be special; otherwise it’s just a gimmick. 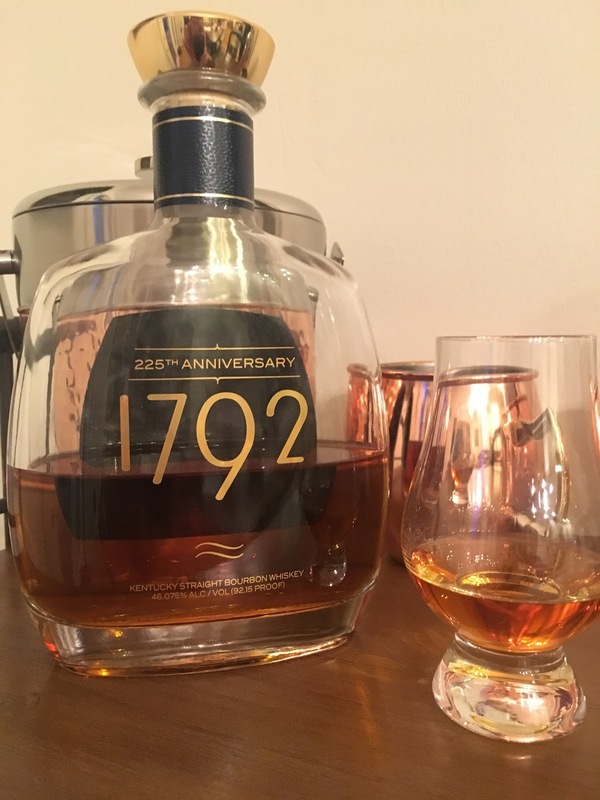 While 1792 225th Anniversary is a solid easy sipper, it’s nowhere near a must-have bourbon. But it’s priced right and I enjoyed it well enough. Just don’t expect a hidden gem and don’t add water. ← Sipp’n Corn Festival Preview – Bourbon & Beyond 2018.